Urban farms give urban residents access to fresh vegetables, fruits, and meat products, thus decreasing the amount of food deserts while increasing food security and sustainability. Minneapolis/St Paul is home to many urban farms! 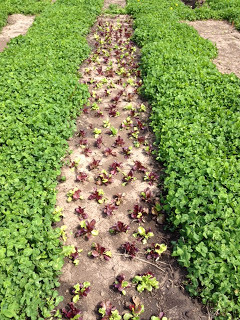 Below are three short profiles of farms near you! If you want to get more involved with Stone’s Throw than just shopping their stand at the farmer’s market, you can join their CSA, intern, or volunteer! Midwest Food Connection brought a group of students to Growing Lots Urban Farm Fall of 2011! Growing Lots, located in the Seward neighborhood of south Minneapolis, was inspired by Growing Power of Milwaukee, WI to grow food on top of pavement and asphalt in the city. “Growing Lots uses reclaimed urban lots and Community Supported Agriculture to bring Minneapolitans together around healthy, sustainably grown hyper-local food,” says farmer Michael Pursell. This will be their fourth season in production and you will be able to find them at the Midtown Farmer’s Market in 2013 as well. 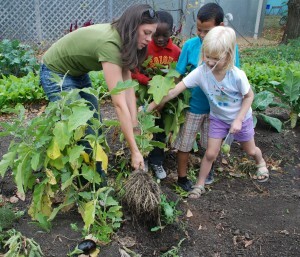 Check out the article Kristi wrote for the Seward Co-op about our field trip to Growing Lots Urban Farm! “an organic farm that provides students hands-on whole farm learning opportunities, food for the local community and a place for community building, multi-disciplinary education, research and outreach.” This farm is run by University of Minnesota students, and the produce grown is sold at the East Bank on-campus Farmer’s Market on Church Street July -Oct. Go check them out! 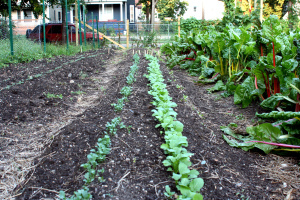 For more info on urban farming in the Twin Cities, check out this article from the Twin Cities Daily Planet.